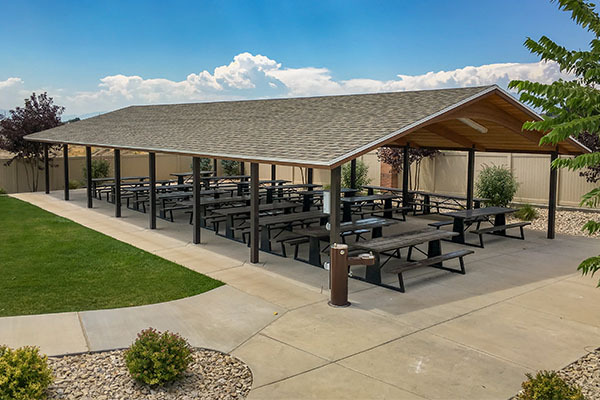 We are one of the top picnic shelter manufacturers in the United States and select parts of Canada. 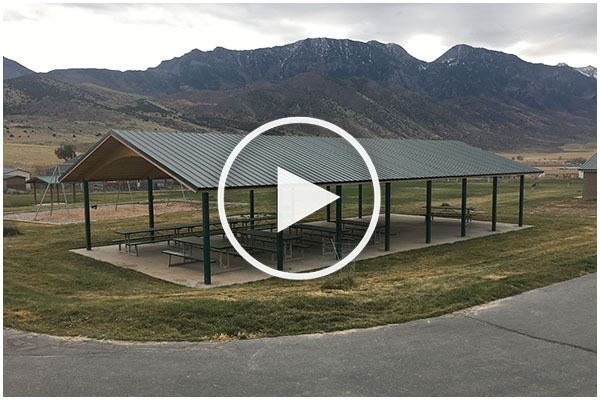 Our team works with park and recreation departments, churches, schools, and more. 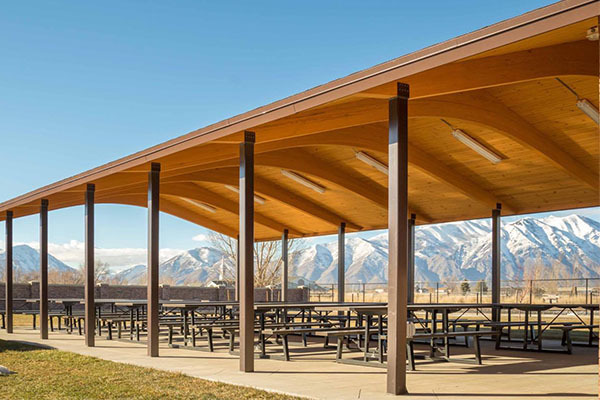 Each shelter is available with a glulam beam or steel purlins. The picnic shelters are purchased in kits. This is the most economical way to build the pavilion. We will provide everything from the steel columns to the equipment needed for lighting. Stamp engineered drawings will also be included with the pavilion kit. 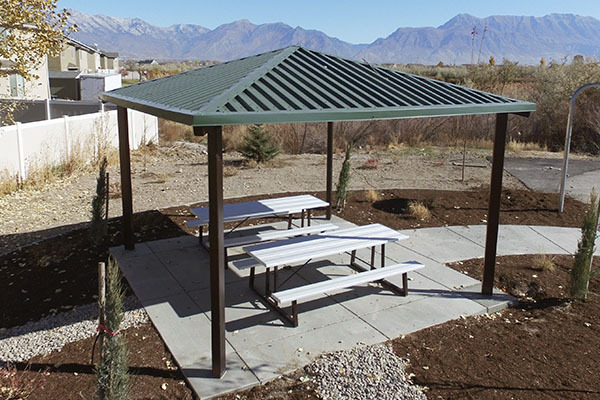 As picnic shelter manufacturers, we guarantee that you will receive the best services and prices on your kit. 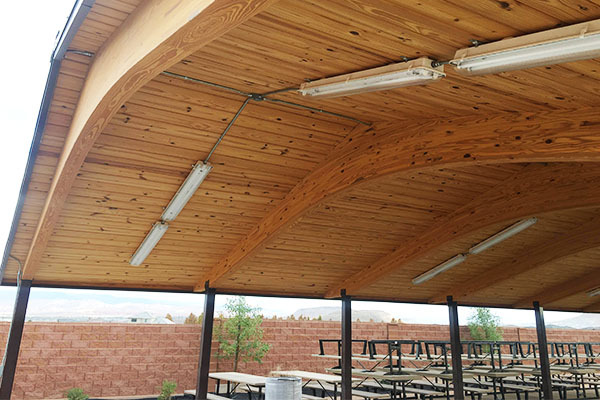 We provide two pavilion style choices to choose from: Glulam Beam Tongue and Groove Deck and All Steel Pavilions. 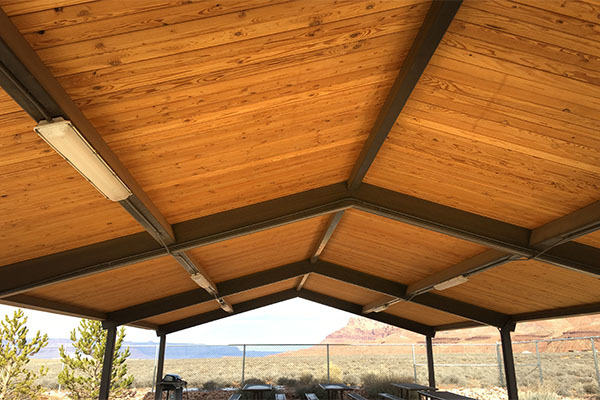 The Glulam Beam Pavilion is available with full custom colors. You can view all options here. There is also a choice between shingles or steel roofs. 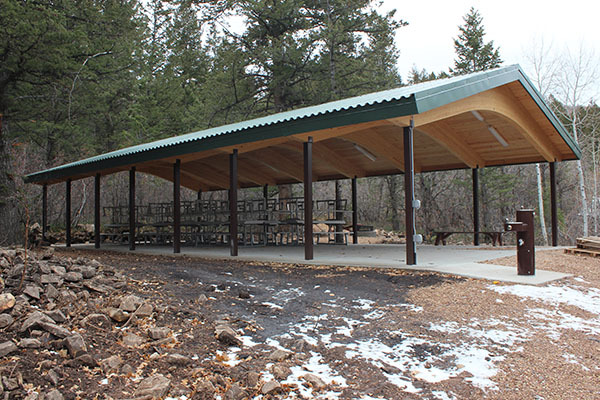 All Steel Pavilions are perfect for recreational properties and campgrounds. The metal is powder coated to keep the metal free from rust and corrosion. When it gets dark outside the party and fun must go on, which is why we provide you light fixtures to go with your pavilion when you order from Smith Steelworks. To avoid any injury, the beams on the pavilions are high and out of reach. There are two options for support, wood beams and steel purlins. Will the pavilion work for my area's needs? Each pavilion is individually engineered to ensure that it will fit your city requirements, codes, and conditions. Our engineers will also work with your snow load and wind needs to ensure that the pavilion holds up to your climate. Lead time for the pavilion kits? Expect eight to ten weeks for total lead time. The time starts once the purchase order has been received. Ready to order your pavilion, or have more questions? Call Russel today at (801) 414-1724 or send an email to russelhsmith@gmail.com.